Dubai, 1st December 2018: As the UAE turns 47 on 2nd December in this ‘The Year of Zayed’, the Dubai Roads and Transport Authority (RTA) and UAE Exchange, a renowned financial services brand in the United Arab Emirates and a network brand of Finablr, organised a fun-filled interactive event yesterday at the Union Metro Station in Dubai. The event had many of the metro commuters from local and expatriate communities, and even some tourists, come together and honour the spirit of the UAE on the occasion of UAE National Day. Visitors participated in and were seen enjoying the revelries at the National Day-themed tent, setup near the brand’s branch at the Union Metro Station, one of the 18 Metro Station branches of UAE Exchange. Some of the activities included face painting, traditional henna application, selfie booth with photo frames amid event-themed decorations like mini-flags and balloons. 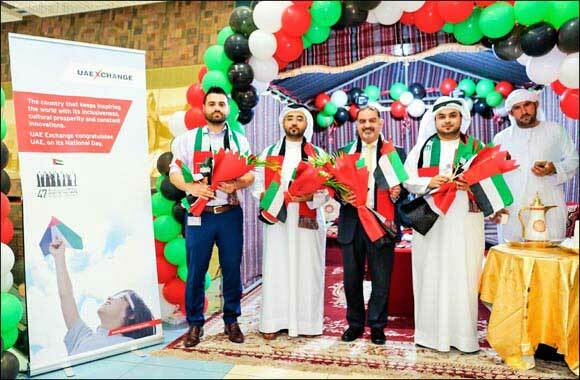 In addition to the National Day celebrations with the RTA, UAE Exchange had also organised other multi-location celebrations at the Social Care Child Centre and the Old People’s Home in Sharjah as part of the brand’s CSR programme.